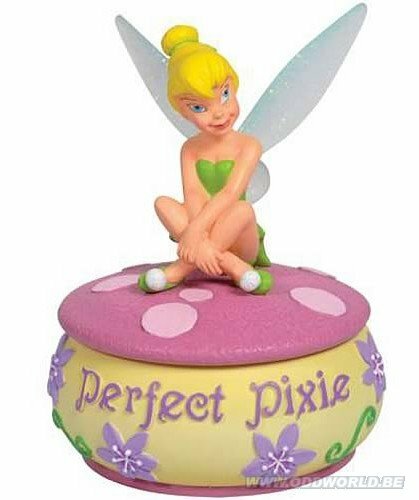 Disney Fairies Tinker Bell Perfect Pixie Trinket Box. Keep your tiny treasures hidden, with this Disney Fairies Tinker Bell Perfect Pixie Trinket Box! 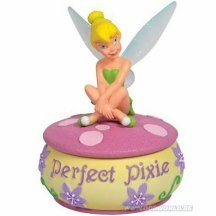 Features Tink sitting atop a mushroom cap on a decorated "Perfect Pixie" trinket box base. Stands 4 1/4-inches (+- 13 cm) tall. Order yours today!